Whether you're a family member who is dealing with a loved one, a guardian ad litem for an allegedly legally incapacitated person, or a professional who is asked to provide services to a person whose competence may be called into question, the questions may arise: How can I be certain that this person is mentally competent. 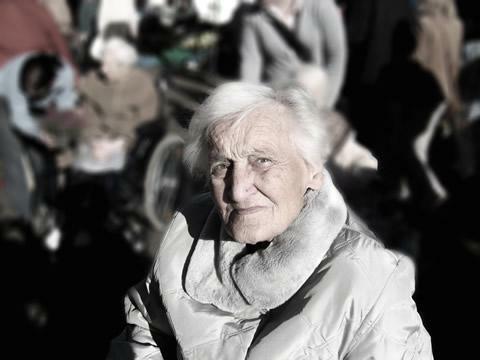 Is your loved one still capable of making informed decisions relating to her care or finances? Is a potential client still competent to make financial decisions, execute a power of attorney or plan his estate? Although these questions can only be properly answered following an examination by a qualified professional, there are signs that strongly suggest that a referral for an evaluation of the person's mental competence is appropriate. The extent to which you can assess somebody else's mental competence is limited, and you should not try to perform an evaluation larger than necessary to fulfill your duties to a court or to determine whether to bring in a professional. One quick way to explore a person's mental competence is to gently ask questions that may reveal the person's relation to self, others, and surroundings. It is important that questioning be gentle, as questioning that appears to be an interrogation can make a person defensive or distort their answers. It is often possible to work inquiries into a conversation that may at times seem a bit artificial but which largely comes across as "small talk". Please keep in mind that a person's mental capacity can fluctuate, and you need to consider whether the person's mental state is typical or atypical at the time of your meeting. Is the person aware of the day of the week, or date of the month? Are they aware of the month, season and year? Do they understand how old they are, and how old their children are? Do they know who the president is? A bit of confusion over day and date may result from a person's lack of a need to reference a calendar or maintain a regular schedule. As a person shows greater confusion about time, they may track of the year, describe their adult children or grandchildren as minors, identify a president who has been out of office for decades, or make similar errors that suggest a loss of connection to time. In some cases you may visit a person an hour or day after a prior visit, and have them display confusion about how long it has been since your last visit, thinking it has been weeks, months or even years. At a basic level, can the person identify where they are? That can range from the specific, a bedroom in their home, their lawyer's office, a hospital or nursing home, to the general: a street address, the city they're in, their state, the name of the country. For example, a person may be able to correctly identify that they're at home, but upon further inquiry it may be revealed that they believe the home is at the address where they lived twenty years before. Does the person understand who they are? Can they give an accurate history of their life? Does the person recognize other people, accurately identifying friends and family members or caregivers? Does the person forget people of recent acquaintance, reacting with each meeting as if they're meeting the person for the first time? Does the person become confused when identifying people, and how often does the confusion occur? Do they describe living with or having contact with people with whom they have no actual contact, or who are deceased? General Appearance: Does the person show proper grooming and self-care? Does the person appear dirty, disheveled, or undernourished? Are they dressed appropriately for the occasion and season? Do they show signs of drug use or intoxication, or smell of alcohol? Speech: Is the person showing a normal pattern of speech? Is the person speaking unusually softly or loudly? Quickly or slowly? Are they slurring their words? Are they struggling to find words? Emotional State: Does the person appear to be in a positive mental state, or are they displaying signs of anxiety, depression or anger? How do they describe their emotional state, and does the description match their affect? Thoughts and Perceptions: Is the person describing thoughts or perceptions that are consistent with reality, or at odds with reality? Are they describing any delusions or false beliefs, obsessions, or unusual impulses? General Cognitive Function: In addition to time, place and manner, is the person showing adequate memory function, ability to reason and to understand cause and effect? Are they showing appropriate levels of insight and judgment? The factors listed above are non-exhaustive, but serve to illustrate the warning signs you need to watch for when mental competence may be an issue. Medications: Some medications of themselves will cause a person to appear mentally incompetent. Other medications may trigger an adverse reaction in some patients, or in combination with other drugs. Intoxication: When a person is intoxicated, whether voluntarily or involuntarily, they may appear to be mentally incompetent -- and they may in fact be mentally incompetent until they return to sobriety. Physical Illness: Sometimes an illness or chronic pain condition can cause a person to show signs of stress, anxiety, depression, confusion, or other emotions and behaviors that suggest a mental health problem when the problem is in fact physical. Mental Illness or Developmental Disability: A history of mental health issues that impair cognitive function, including those that have required prior treatment, hospitalization or medication, will generally support an impression of mental incompetence, but at the same time it's important to consider any distorting effects from underlying conditions when evaluating a person's mental condition. For example, a person may be competent despite having a focal deficit - such as a poor ability to remember names, or numbers and dates, or problems with short-term memory. Injury: A traumatic injury, notably including a blow to the head, can cause a person to show emotions or behaviors suggestive of a mental health problem, but which may be alleviated by time or treatment. Depending upon the reasons for your investigation of the person's mental competence, you may have access to family members, caregivers, medical professionals, and others who can help shed light on the person's competence, and why they are or are not concerned. By speaking with others involved in the person's care, you may be able to determine whether your observations are typical or if the person is usually more or less competent. You may learn of sudden changes in behavior, or of illnesses or trauma that suggest a problem, or which could explain why a mentally competent person might appear incompetent. As a general rule, the more information you have, the better - but keep in mind the boundaries of privacy and what you need to know. If you're a guardian ad litem preparing a report for a court, you would want considerable information and detail. If you're helping a person draft a will, you don't need to get into details. If your impression is that competence is or may become a concern, that's the point at which you might want to suggest a professional evaluation. If you have concerns about mental competence, it is appropriate to try to have the person evaluated by a competent professional, usually a medical doctor. But if you announce to a person that you want them to get evaluated you may trigger a response that is counter-productive, such as anger or denial. If you can, try to lead the person into deciding for themselves that they would benefit from the evaluation, or to agree to an evaluation to preempt the problems and concerns of others. For example, when creating an estate plan, a person may accept that a doctor's clearance will help ensure that their wishes are ultimately followed and prevent the contest of a will. A person might be led to agree to see a doctor they know or trust with the understanding that the visit will help resolve the concerns of others, even if they believe those concerns to be unfounded.